Wake up before the sun with these rosy drops. 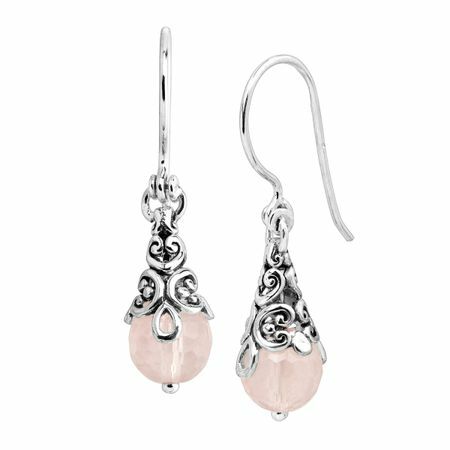 Rose quartz stones are showcased in filigree sterling silver for stand-out detail that can be dressed up or kept casual. This piece is part of our Balinese Collection, inspired by the beauty of Southeast Asia and handmade in Bali using ancient silversmith techniques. Earrings measure 3/4 by 1/4 inches and feature French wire back findings. Pieces come with “.925” sterling silver stamps as symbols of guaranteed product quality.